How Can You Prevent This Injury? The IT band or iliotibial band is a thick band of tissue that stretches from our pelvis to our lower knee. Its purpose is to stabilize movements of the knee. If this band becomes too tight or too short, it rubs too tightly over the leg and causes the knee joint to move out of alignment. 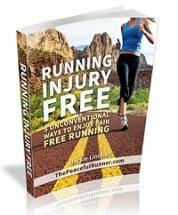 When you have this condition, you will experience pain on the outside of the knee while running. It will start out as a small twinge, but will progress and become more painful if you don't correct the problem. The pain is usually sporadic—appearing on some runs and not on others. It is often not felt when you start running but begins to ache after a certain distance. It can also get worse when running down hills. 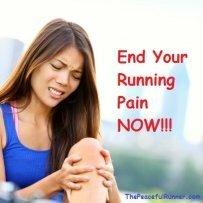 The pain usually goes away when you stop running. If you are experiencing pain below or behind the knee cap, you may have runners knee. 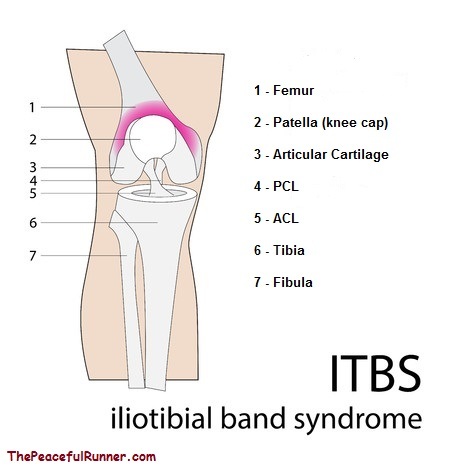 There are a number of causes for iliotibial band syndrome, but the most common is overuse and fatigue. When the band is overused, it becomes too tight as it is squeezed against the bone, resulting in pain and the inability to stabilize the entire leg. This is when the stress on the knee joint causes it to go out of alignment resulting in more pain and discomfort. As soon as you feel the first twinge of pain, you should take action - don't wait until you have a full-blown injury. Stop or reduce running, avoid hills and start stretching the area. The IT band doesn't stretch very well as it is not a stretchy tissue. However, stretching the muscles that attach to it, such as the glutes and the TFL (located just in front of the femur), have proven to be very effective. See the video below on how to stretch the area using a foam roller. An IT Band Compression Strap may help reduce pain and stabilize the leg. A deep tissue massage usually helps relieve the tightness and a temporary decrease in the amount of training miles will also speed recovery. You should avoid hill training and running on uneven surfaces and circular tracks. Learn How to Use a Foam Roller and give yourself a deep tissue massage. Active Isolated Stretching may also be very helpful. 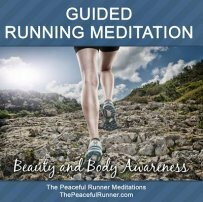 When I trained for my first half marathon, I developed a problem with my iliotibial band. It occurred in the middle of a long run and was very painful. Fortunately, I took the advice of a fellow runner and stopped running. It was only a few weeks away from the race and I didn't want to risk developing an injury. I stretched the area quite often and I had massage therapy to help. I completed my first half marathon without any further problems. It is always wise to listen to our bodies. When they hurt, they are hurting for a reason. We need to listen and take action. Stretching your iliotibial band is always a good idea, even if you don't feel pain. Check out this video on how to get a great stretch for this area using a form roller.